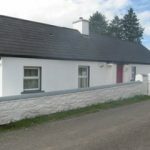 NO 6 ROSEVIEW, CARRIGNAVAR, CO CORK. 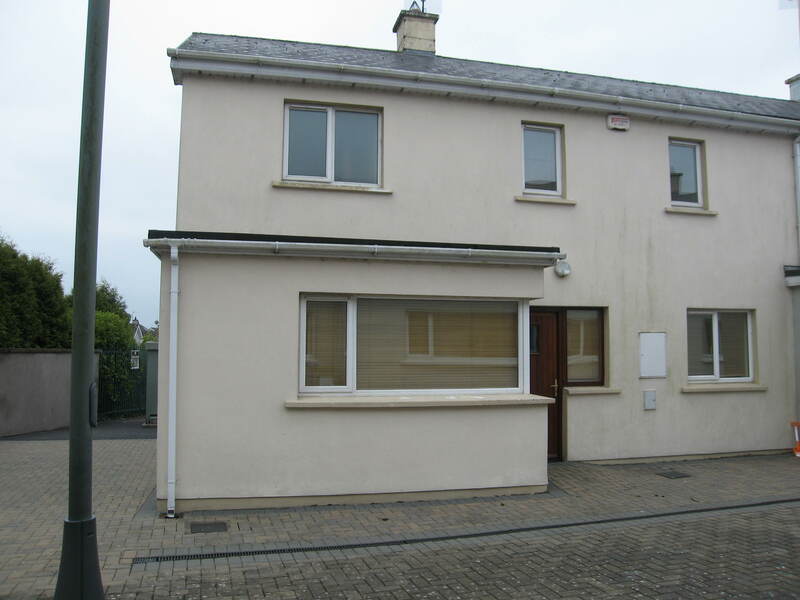 New to the market:- SEMI-DETACHED 3 BEDROOMS 2 BATHROOMS,LARGE LIVINGROOM, FULLY FITTED KITCHEN/DININGROOM, LARGE ENCLOSED PATIO AREA TO THE REAR OF THE PROPERTY, PARKING. 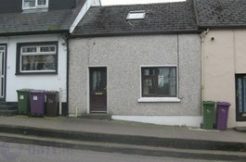 Attractive 2 Storey semi-detached property situated in a small cul-de-sac in the village of Carrignavar comes to the market. 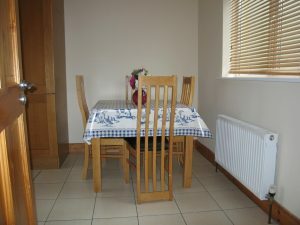 This property is only 10 years old, is in good condition and measures circa 1008 sq. feet. The Energy rating is a C.2. 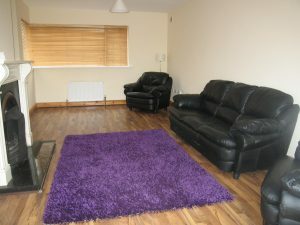 Accommodation consists of:- a Large Livingroom with a fireplace, also Oil fire central heating, timber floor, French doors leading onto a walled in Patio which is facing south so you get plenty of sunshine. 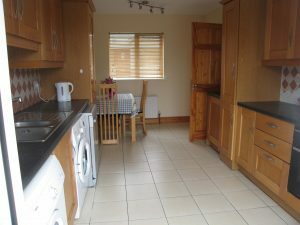 The Kitchen/Diningroom has a fully fitted kitchen with an electric cooker, electric Hob, fridge/freezer, washing machine, dryer, dishwasher, Pull out larder. French door\’s also lead to the patio area from the Kitchen. There are 3 good sized Bedrooms and 2 Bathrooms. The Energy rating is a C.2. Carrignavar has both a Secondary and National school, Supermarket, Doctor, Chemist, Church, Take away, 2 Public Houses, Hairdressers, GAA sports grounds, Creche’s,,Community Hall, to name but a few businesses in the area. This property will appeal to potential purchasers such as First time buyers, Families, Purchasers wanting to downsize or purchasers wanting to move into the village, or purchasers returning from abroad . 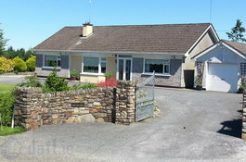 This property is located north of Ballyvolane and Blackpool and is within a 10 minute drive of Cork City. There is a bus service to Cork 6 days a week. Viewing is highly recommended and is strictly by appointment only. Entrance Hall: – 5.05m x1.96m Here you have a solid teak door, a window, alarm system and timber flooring. 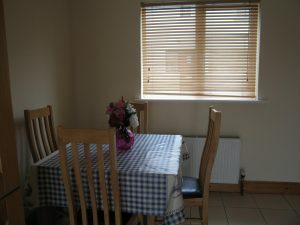 Downstairs W/c : – 1.47m x1.22m Spacious :- Tiled floor to ceiling, toilet, and wash hand basin. 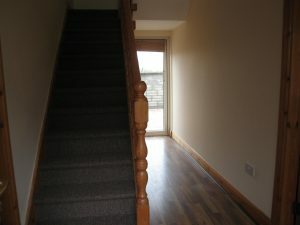 Stairs lead to the first floor, carpet on stairs and landing. Master Bedroom :- 3.66m x 2.54m . Double bed, Carpet on the floor, double wardrobe, mirror, curtains and a radiator. 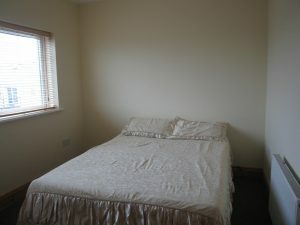 Bedroom 2:- 3.05m x 2.67m Double Bed, carpet on the floor, wardrobe, curtains and a radiator. Carpet on the floor, wardrobe, curtains and a radiator. Bedroom 3 :- 3.05m x 2.18m. Single Bed, carpet on the floor, wardrobe, curtains and a radiator. Carpet on the floor, wardrobe, curtains and a radiator. 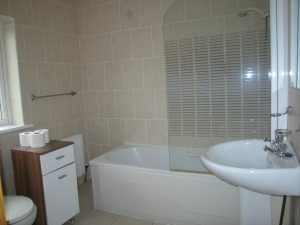 Main Bathroom :- 2.26m x 2.21m. 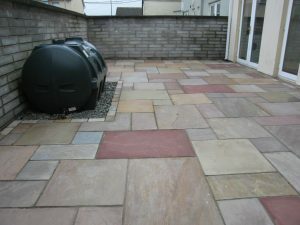 Attractive tiling:- floor to ceiling, 4 piece suite including bath, electric shower over the bath, toilet, wash hand basin, a radiator and a window. Outside: – There is free parking in the car park adjacent to the property, this is protected by CCTV cameras. 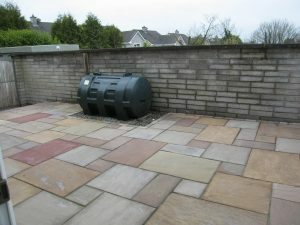 The front of the property is paved with brick whilst the rear garden is attractively tiled, enclosed with a high wall & side Gate, Boiler & oil tank is stored here. These particulars are for guidance only and do not form any contract. Whilst every care has been taken in their preparation we do not hold ourselves responsible for any inaccuracies. They are issued on the understanding that all negotiations are conducted through this firm.